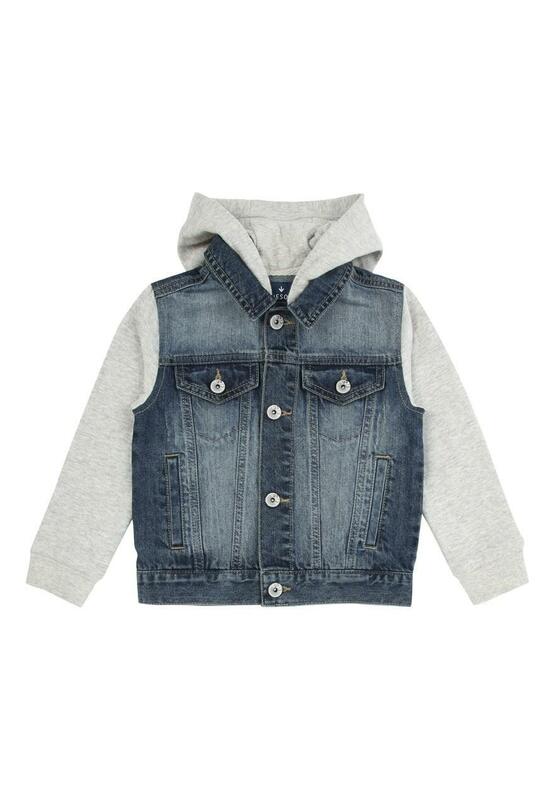 Keep them warm and stylish this season in this layered denim jacket. 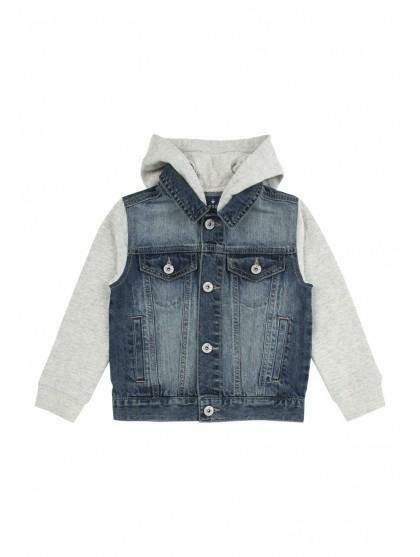 Featuring a jersey hood and long sleeves and in a button up design, it's a perfect choice for their casual wardrobe. and I got it at reduced price so was good value or money.